The 2018 Audi A6 Sedan from Audi Morton Grove in Illinois - serving Glenview, Highland Park, Lincoln Park, Deerfield, and Glencoe - is a spirited sedan that's ready for action. The bold design sports a SingleFrame grille and available LED headlights to put its bright personality on display. 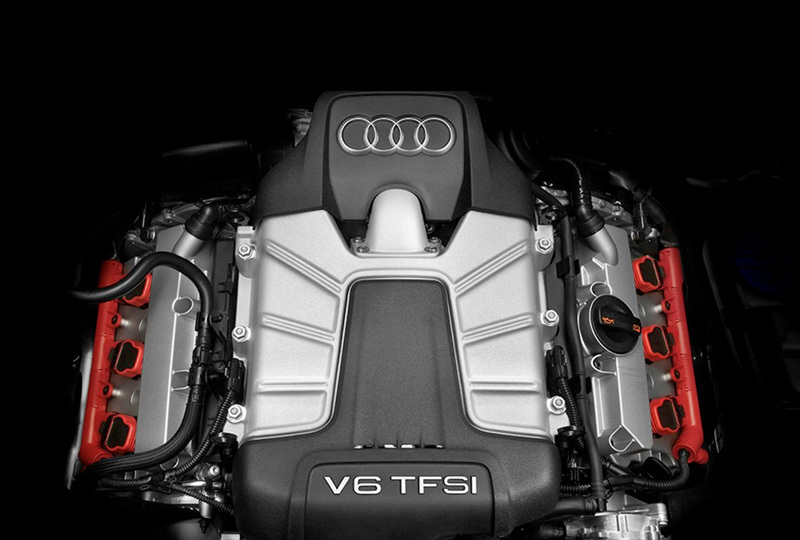 The looks match the daring 2.0L TFSI engine that has an incredible 252 horsepower for pure driving excitement. The interior is fit for a royal family with standard leather seating and fine, walnut wood inlays. Eight-way, power front seats and a split folding 60/40 rear seat allow you to customize the cabin to your liking. With the standard MMI navigation system and MMI Touch with handwriting recognition, you can simply "write" your entry to pull up directions. The available head-up display will flash basic information regarding speed and navigation onto the windshield so you never lose focus. 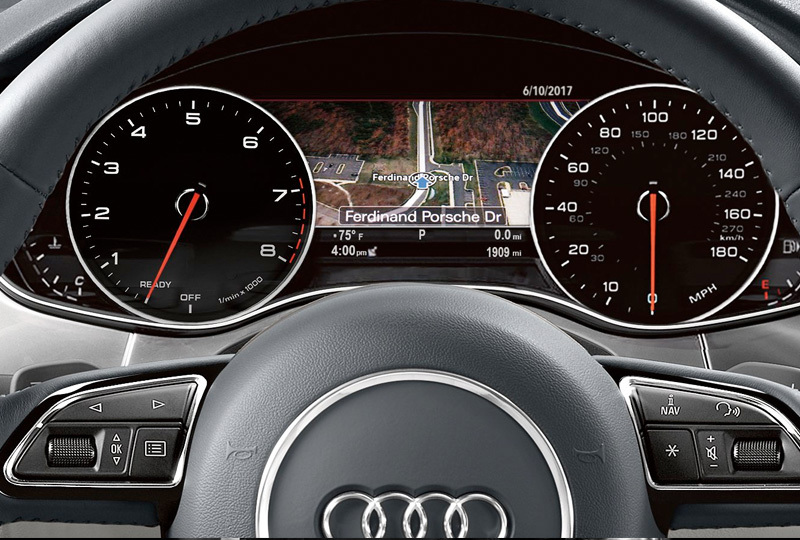 Connect your smartphone with the standard Audi interface that provides Apple CarPlay and Android Auto compatibility. You've picked the best time to buy a 2018 Audi A6 Sedan! Call us today at Audi Morton Grove to schedule a test drive, or visit our showroom located at 7000 Golf Road, Morton Grove, IL 60053. We can't wait to see you ride home in the 2018 Audi A6 Sedan you've always wanted! 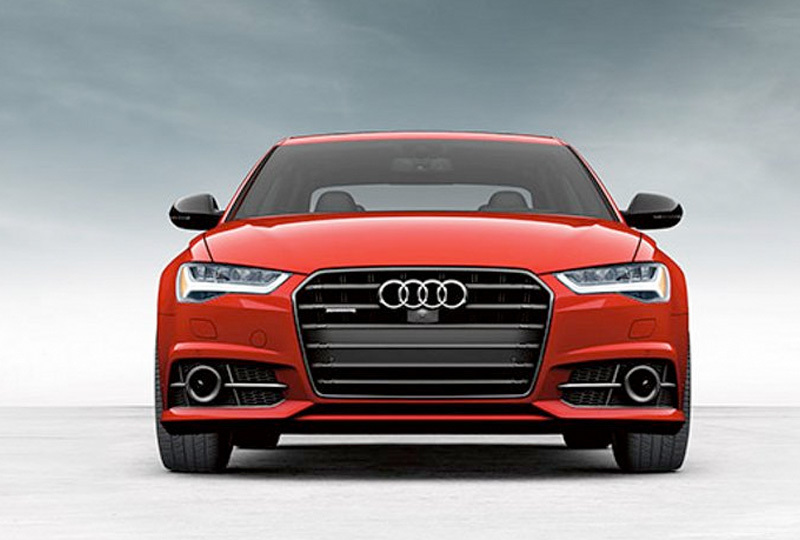 With its iconic S line® elements, available LED headlights and Singleframe® grille, the 2018 Audi A6 is as beautiful on the outside as it is on the inside. The 2018 Audi A6 is available with a powerful supercharged 340-hp V6 engine or standard 252-hp engine with 273 lb-ft of torque. Either way, you'll experience a powerful, exhilarating ride. The available head-up display can project relevant information regarding the car's speed and navigation directly onto the windscreen, helping the driver keep their eyes on the road ahead of them. 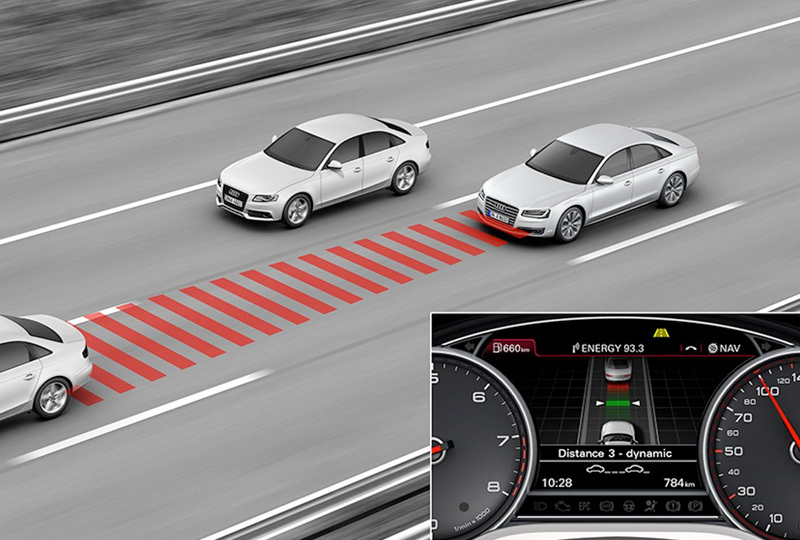 The Audi A6 offers available Audi adaptive cruise control with stop & go which automatically maintains a set distance from the vehicle in front, and brakes and accelerates to help maintain that distance. The stop & go function allows for automatic braking to a standstill and will resume with the flow of traffic. Starting MSRP of $49,700 for a Premium 2018 A6 2.0T with automatic transmission and front-wheel drive. Model shown is a Prestige 2018 A6 3.0T with automatic transmission and quattro® all-wheel drive in Tornado Gray metallic with available Driver assistance and 20" Wheel packages with a starting MSRP of $66,025. Prices exclude $975 destination, taxes, title, other options and dealer charges. Dealer sets actual price.Always obey all local speed and traffic laws.Driver assistance features are not substitutes for attentive driving. See Owner's Manual for further details and important limitations.